Cramberry is a fantastic tool for creating on-line flashcards. The best thing about the software is that not only can you view the flashcards on your PC you can also download the software as an app for iPhones and iPod touches so you can take your flash cards with you wherever you go. I’m going to make an English grammar themed set to help me revise for the CELTA course that I’ll be starting soon but you could also use the software with your students. Your students could create their own flashcards, use the ones made by you (if you make your cards public), or they could choose from millions of flash cards made by other Cramberry users from around the world. 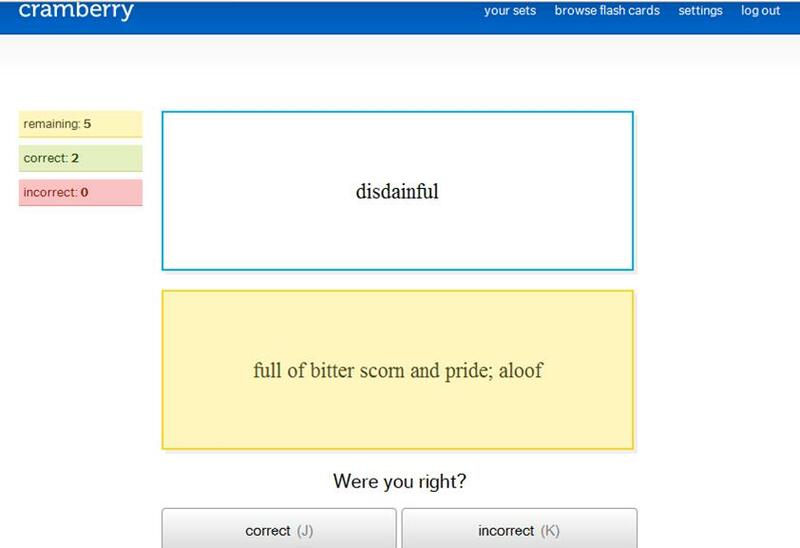 Here’s an example of a ready-made flashcard for advanced English vocabulary. This entry was posted in Resources and tagged CELTA, ESOL, Grammar, Literacy, Resources, Revision, Study Skills, Vocabulary by Gemma H. Bookmark the permalink.